SITUATION: Keleen was a 30 year old company whose sales had flat lined and had very little national brand recognition. They had recently launched with a major, high-end showroom on the West Coast and needed someone with a strong understanding of working with a multi-line showroom and how to gain recognition and navigate with waters. There had also been little attention paid to the look and continuity of their collateral which deterred from brand recognition. The logos and fonts they were using did little to promote the beautiful, fashion forward product they offer and meet the expectations of the high-end clients who were their target market. They had similar looking product that was becoming either obsolete or a sales splitter, which was wasting thousands of dollars in sampling costs. They did not have a sales training program to teach sales people about how to sell it this product. RESULTS: Keleen sales showed steady growth, and sales doubled in one year. It continues to gain strong national recognition and market share in the design community. In three years sales increased a whopping 300%! STRATEGY: I first audited product and sales and completed a solid business plan. We defined their identity. We designed a more contemporary, cleaner look, choosing trendier and more couture combinations keeping the image of a high-end leather company in mind. We combined an acid green with the more traditional deep brown. To get the message that this leather company does more than just upholstery, we put the words “upholstery, walls and floors” on all collateral. The KL logo is used consistently to bring brand recognition to Keleen Leathers. 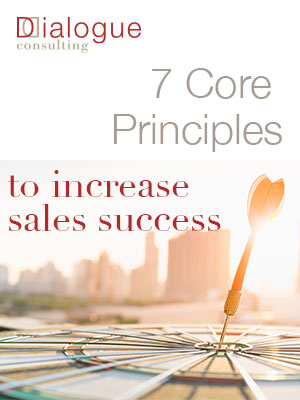 This gained immediate momentum from sales people, clients and the media. I then designed sales tools to optimize a sales person’s time and effectiveness and position themselves as leather experts. We also devised and implemented an on-site sales training program that catapulted the sales and obtained brand recognition they needed for maximum growth. I traveled to each territory multiple times training sales people by using the strategies I use in my D2SalesTraining and was able to increase sales by 300% in a product that most find a challenging sale – leather. I oversaw and implanted design and sales strategy for HD and HD Boutique for maximum outreach to the hospitality sector. Deborah Flate was a consultant for Keleen Leathers for over a 5 year period. Deborah came along at a time when Keleen Leathers was in need of someone with her energy, dedication, knowledge, & experience in our dynamic industry. Deborah was focused on building a strong brand for Keleen Leathers, which included revamping our Logo, building a new website, sales training for our representatives and showrooms along with exploring many new marketing avenues. Her opinions, based on industry knowledge and her desire to grow the company, were extremely helpful. With Deborah’s guidance we were fortunate to accomplish our goals. Deborah truly has a passion for her work and is a caring and wonderful person. Pipeline or a pipe dream? How do sales people know the difference?